SMC Corporation is the world leader in producing and supplying automation and pneumatic components, with over 58 (1959) years of experience, working in over 75 countries. SMC has over 30% of the world market share and one of the 100 most innovative companies by Forbes. 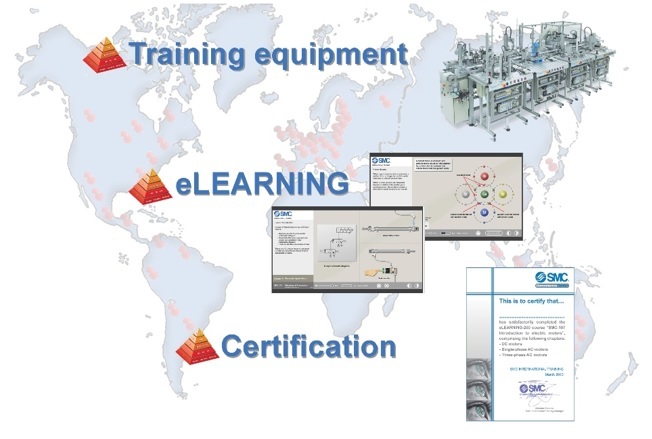 SMC Training products target universities, vocational training centers and technical training centers, plus major companies who provide their own training internally. Since the beginnings of industry, the automation of manufacturing and production processes has constantly evolving. This evolution is made possible due to the integration of classic technologies like mechanics and electricity with other more modern ones such as electronics, computer science, communications, etc. playing a greater part day by day. This integration of technologies is represented well by using a “Pyramid of Automation”, which includes the five technological levels which can be considered in an industrial environment. 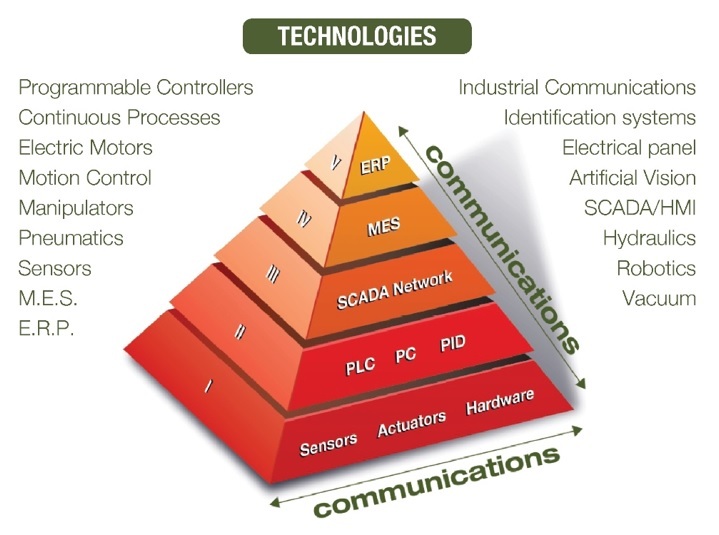 The technologies interrelate, both within each level and between the different levels by using industrial communications. • The first level or “field level” comprises the physical devices existing in industry such as actuators and sensors. • The second level or “control level” includes logical devices such as PCs, PLCs, PIDs, etc. • The “supervisory level” (third level) corresponds to control and data acquisition systems (SCADA). • The manufacturing execution systems or MES are at a higher level or “planning level”. • The top of the pyramid (“management level”) is comprised of the company’s integrated management system (ERP).